We stand by our name and our products. 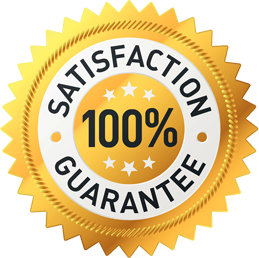 If you are not 100% completely happy and satisfied with your purchase, just let us know within 24 hours of your purchase, and will refund your payment. Just send me (PitViper) a private message and let me know! It is a good program... I personaly have not had any major problems I have run into.. It is always being improved on and things are coming out that makes it a better program.. The responses are always quick and helpful - even when people have made rookie errors in setting up the program. The updates are frequent and significant - you can do a hell of a lot with this program once you know what you're doing. Admin always answers questions, addresses concerns, give helpful tips, and takes feedback for improvements and future features. The bot itself is very well developed, with evolving capabilities and will not leave you disappointing. Theres a reason there's guaranteed satisfaction! Better than any other bot i've seen for FFXIV, that is on the market! That is the rough aspect of it, with some users it takes time for them to properly learn how to setup a profile and create their pathway setups. But after that then everything is perfect. When I first started I had problems, but now I have way more experience and I am confident in my profiles and pathways. Locked. If you have specific problems, please post in the correct forums.